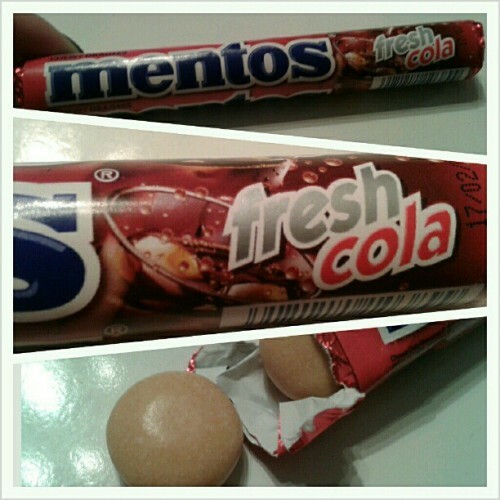 Well, I found this mentos candy that actually has cola with it. It's made in China so i'm not surprised by the craziness. haha. Its chewy like any other mentos you may have with a little hard shell. The cola flavor isn't that strong in it though, but definitely there. Don't worry, it didn't explode in my mouth.